It’s always great to be around to witness the birth of a new winery. As we were there in the early beginnings of la Vinyeta, it’s only fitting that we see the latest grape-based venture from almost the same people behind it, with Vins de Pedra. 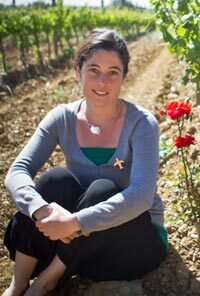 I say, almost because the main winemaker behind these wines isn’t Josep Serra i Pla, but his soon-to-be wife, Marta Pedra i Blasi. Josep and Marta have been running la Vinyeta together for some time and doing it quite well. But, unbeknownst to us until a year or two ago, Marta’s family has had some vineyards down in the DO Conca de Barberà region. For those unfamiliar, this is a wine region in the interior of the Tarragona province where, like most all of Catalonia, wine production started back in the Roman period. Marta’s family vineyards in the area date back to between 20-30 years old. Growing at a breezy 200m in elevation, they had been selling off the grapes to other wineries in the area for some time. Now, they’ve started bottling them. The labels and the boxes incorporate artwork made by Marta’s uncle so, while there may be a touch of Serra influence, this is very much a Pedra family project and the wines are quite different from those of la Vinyeta, but still really good. Watch these wines and what Marta is making. They’re going to be headed places as they’re tasty, well-crafted, distinct, and bound to ply to many palates out there.